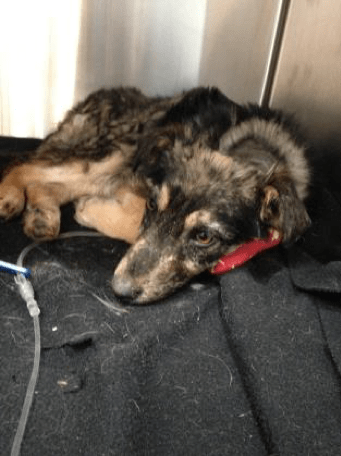 This young dog was found in a rural Saskatchewan community barely hanging on to life. Rosa had severe wounds to her head and hind regions, extremely emaciated and without immediate care would have not survived. Rosa was brought to a NHDR partner veterinarian who treated her for a week before she was released into a foster home. Rosa also received rehabilitation at the Veterinary Medical Centre due to lameness in one of her front legs. Rosa was put on pain management and the foster home also did exercises at home to help with her weight bearing. Although Rosa had a rough start to life, she is a happy, healthy young dog. Happy to have had a new change on life.